The Pedal Controller has a MIDI Echo parameter that is selectable on/off. The Pedal Controller accurately tracks the position of the pedal or potentiometer connected to it. Small fluctuations are eliminated when the pedal is in a stationary position and no extraneous messages are sent out. When the pedal is moved slightly, the Pedal Controller will send an update even if its position has only changed by a single value. Many control wheels or knobs only update themselves every two or every four values, resulting in coarser control, and sometimes zipper noise. Another unique feature of the Pedal Controller is its ability to add a variable amount of curvature to the response of the pedal. This allows you to correct for pedals with nonlinear responses, or to add greater response at one end of the pedal compared to the other. The Pedal Controller is programmed by sending it MIDI System Exclusive messages (see FAQs - Programming). 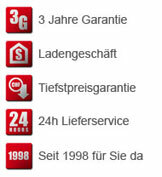 Once programmed, its settings are retained even after power is removed. The Pedal Controller can be reprogrammed with new settings as often as needed. The Pedal Controller's factory default settings are for it to send CC #7 (volume) on MIDI channel 1, with the Echo parameter set to ON. 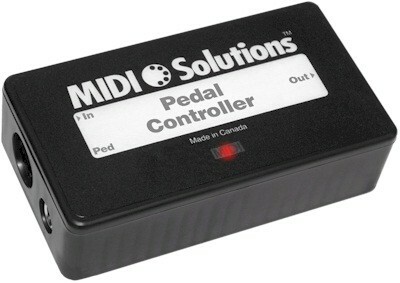 The Pedal Controller is MIDI-powered, and requires no batteries or power supply to operate with most MIDI products (see FAQs - Power and FAQs - LED for more information). A MIDI indicator LED lights up when the product is powered and flashes when MIDI data passes through it.